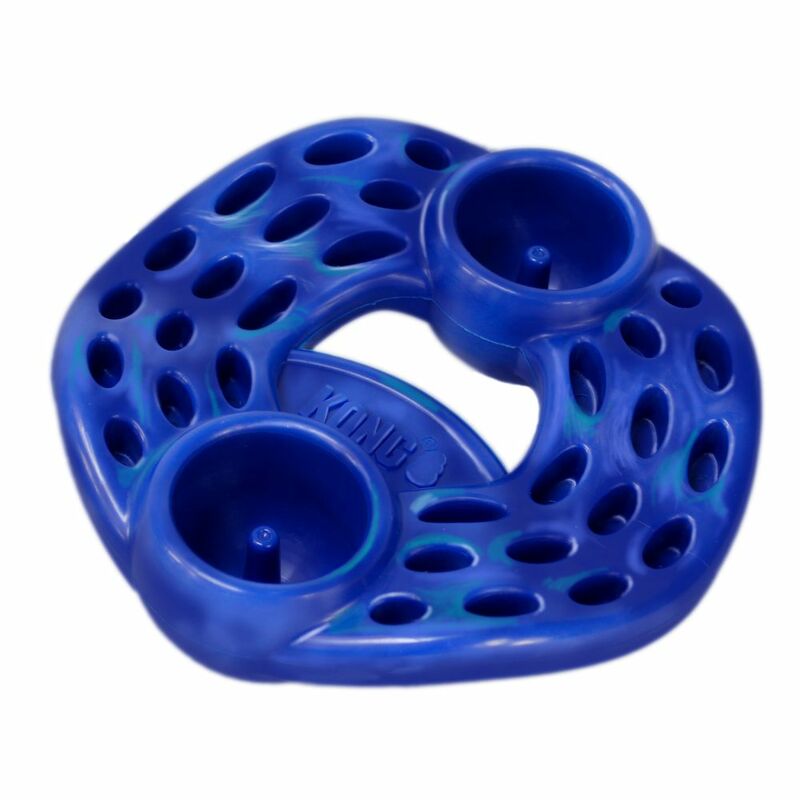 KONG Duratreat is made with KONG-crafted K120 that provides both durability and flexibility that combine to satisfy a dog’s natural chewing instincts. 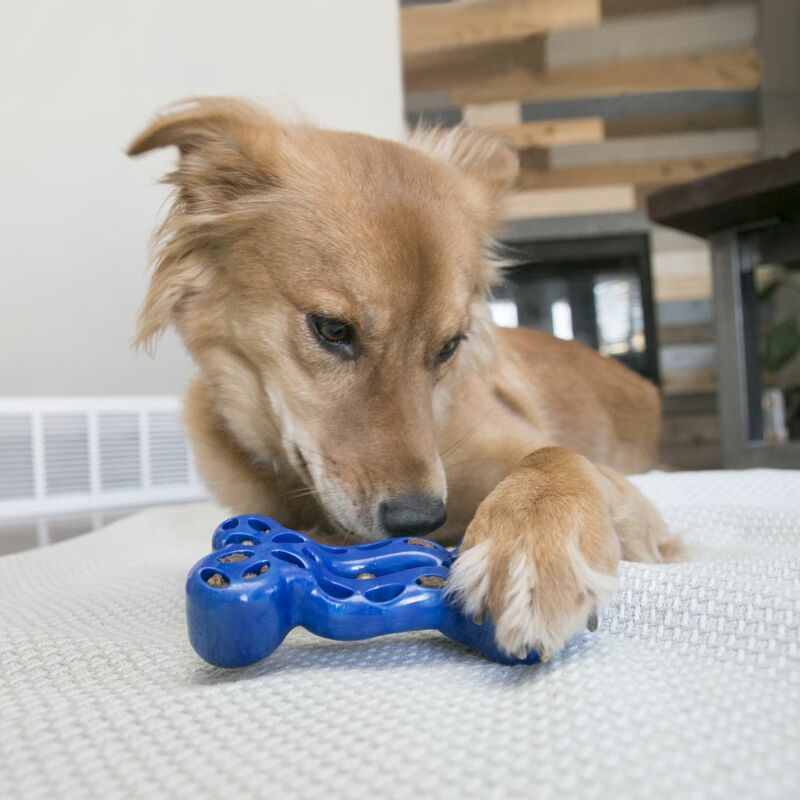 Add to that the ability to stuff with treats and kibble and this toy is sure to engage and delight while providing a healthy dose of mental stimulation along the way. The Duratreat bone wobbles adding to the puzzle challenge. 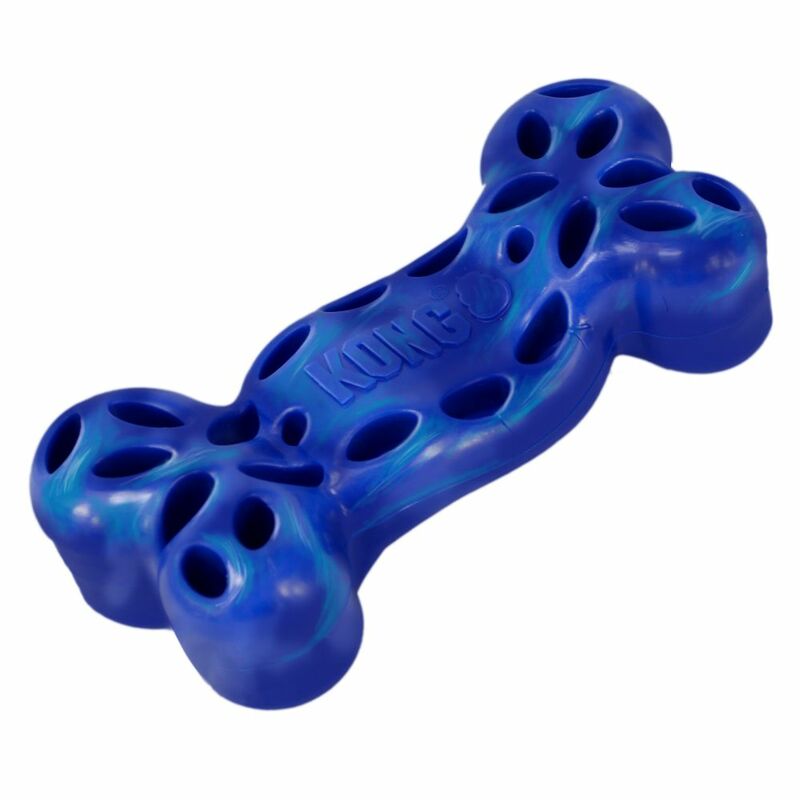 Stuff kibble loosely into the pockets for an easy challenge or tighter to increase the challenge. 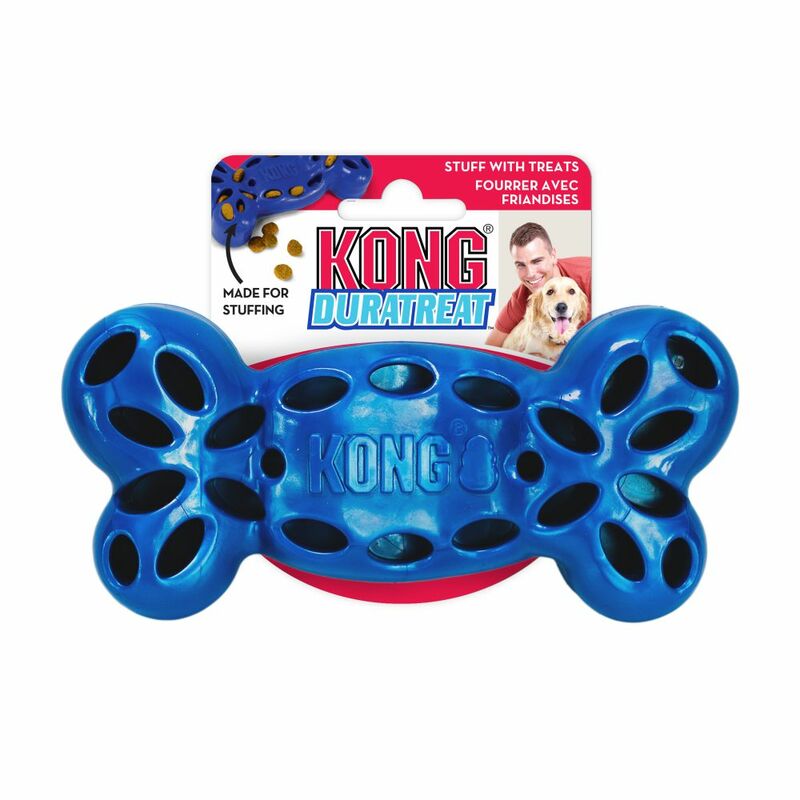 Mix up the fun by filling some pockets with KONG Snacks and a dab of KONG Easy Treat.